Lithuania's security situation and preparedness ahead of next week's Zapad 2017 military exercise in Russia and Belarus is much better than in 2013, the heads of the parliament's Committee on National Security and Defense said on Wednesday after being updated on the security situation in the region. "Lithuania's preparedness -- I am speaking about the quality of security as well -- is much better, of much higher quality that it was during the last Zapad exercise in 2013, when Lithuania was practically on its own. We have defense plans now. NATO has separate plans. Our forces are integrated, and this is a new level of quality," Vytautas Bakas, the committee's chairman, told reporters after the closed-door meeting. "(Thanks to) what we did this year, our homework, we can feel much more secure today than a year ago and certainly much more secure than a few years ago. Our defense capabilities and our people's awareness have grown significantly," Bakas said. "We should understand that the escalation of aggression is permanent. This is not the first time the Zapad exercise takes place. It is very important that we (maintain) the quality of our security after this Zapad exercise, because there is an opinion that we are paying too much attention to security," he added. Rasa Juknevičienė, deputy chairwoman of the committee, said that "NATO's timely decision to deploy forces here and our decisions to beef up defense have yielded fruits, and Russia has slowed down the military escalation in our region". "The Zapad exercise, in its scale and content, is the same as before. It has offensive elements and its scale is much bigger than it is publicly declared, just like it was in 2013 or 2009, but today I feel much more secure than in 2013," the lawmaker of the opposition Homeland Union–Lithuanian Christian Democrats said. "NATO today is fully prepared for this kind of provocation at NATO's borders from the Russian side and this is why the situation is relatively calm," she added. Russia and Belarus will hold the joint exercise on Sept. 14 to 20. Moscow says that the war games will involve fewer than 13, 000 troops, but Western intelligence services say that around 100,000 soldiers may participate in the exercise which they say is offensive in its nature. Lithuania military intelligence says that the Zapad scenario will very likely include an armed conflict with NATO. 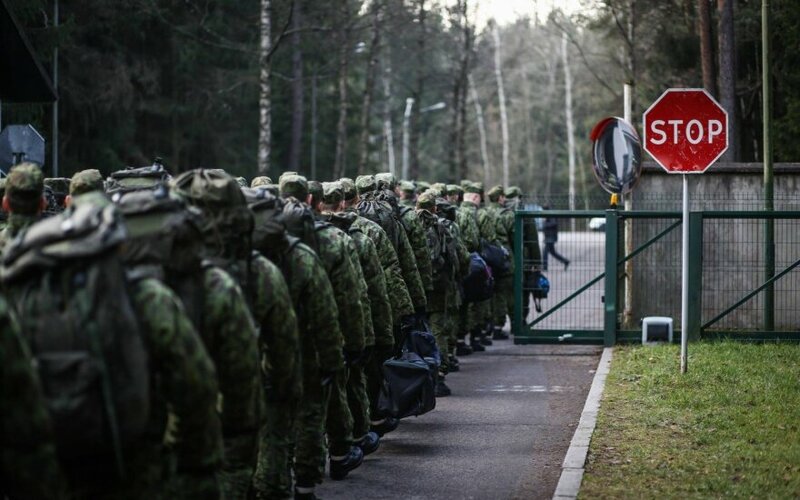 Given that part of the drills will take place close to the Lithuanian border, Lithuanian officials do not rule out possible incidents and provocations.